George Zimmerman is released from jail on Friday, July 6, 2012. ORLANDO, Fla. - George Zimmerman, the neighborhood watch leader accused of murder in the death of Trayvon Martin, has filed a motion to disqualify the judge in his case. Zimmerman, 28, claims Judge Kenneth Lester showed bias against him in his recent ruling after a bond hearing. The state responded on Tuesday ,filing a motion to disqualify O'Mara's filing on Friday. Prosecutor Bernie de la Rionda writes that Zimmerman's motion is "short on actual fact and devoid of legal merit." In a motion released on Friday, Zimmerman's attorney, Mark O'Mara, wrote, "the Court makes gratuitous, disparaging remarks about Mr. Zimmerman's character." The motion also says that "the Court has created a reasonable fear in Mr. Zimmerman that this Court is biased against him" and "he cannot receive a fair and impartial trial or hearing." The State Attorney's office released a statement Friday afternoon objecting to Zimmerman's motion. "The State objects to the Defendant trying to disqualify Judge Lester. We will file a formal response to the Defendant's Motion early next week." Zimmerman, 28, is charged with second-degree murder in the Feb. 26 shooting death of Martin, who was 17 years old, in a gated Sanford community. 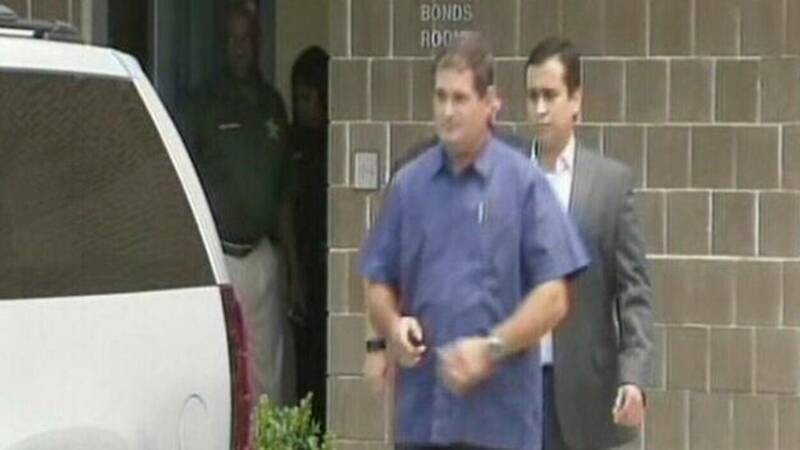 Last Friday, Zimmerman bonded out of jail for a second time after posting a $1 million bond. In a scathing order, Lester restricted Zimmerman's travel to within Seminole County, subjected him to a curfew, barred him from the local airport and required him to wear an electronic monitoring device. He is also not allowed to apply for a passport or to drink alcohol.